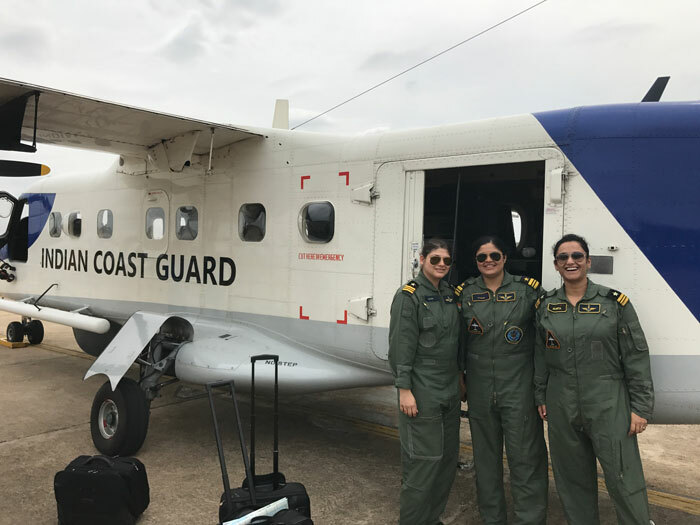 During ST Airborne Systems visit to Chennai last week, the Indian Coast Guard proudly presented the first time ever all female crew flying on a patrol mission with the MSS 6000. We would like to congratulate the Indian Coast Guard on this achievement! The purpose of the visit was to perform yearly maintenance and maintenance engineer training all included in our maintenance contract with the Indian Coast Guard. The Indian Coast Guard has operated the MSS 5000B / 6000 surveillance system since 2001 and the system was recently upgraded to MSS 6000 functionality. Read more here. We provide airborne maritime surveillance systems for customers around the world. Our systems are effective tools based on more than 35 year’s experience. They incorporate state of the art technology and will become an integral part of your mission to protect your sea areas.